My Every Photo Tells short story "Fezson's Mistake" has been recorded and is now available! I just listened to it, and they did a bang up job again - great narration! Episode 62 of Every Photo Tells - Fezdon's Mistake is a prequal to my first submission to their podcast which was titled "Helsa's Secret Ingredient." Enjoy, and check out their podcast for more great short stories by other fine writers. "People make mistakes every day. 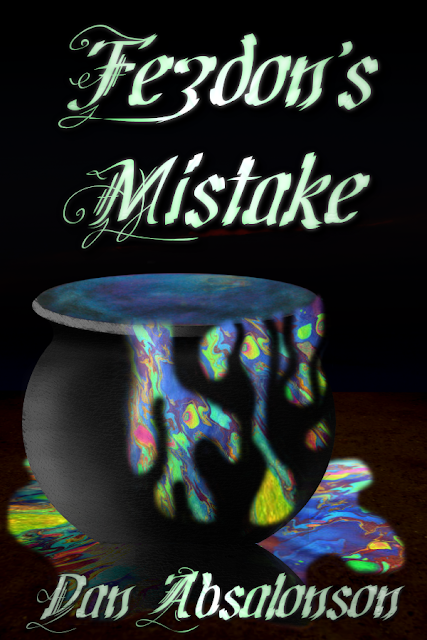 When you’re a wizard, mistakes can be a little more… colorful." I highly recommend submitting a story to Every Photo Tells. It's a great experience. This story will soon be avialable as a free eBook in multiple formats. In the mean time, check out the custom cover I made for it below. I'm hoping to attract as many downloads from it as my last free short story did, which was up to 70 on the first day.